Nowadays coil wraps are the big thing when it comes to DIY builds. Coil wraps seem to have solved the mystery of how to get clouds of vapor by proving that the more amount of wire comes in contact with cotton equals the more amount of vapor you will produce. There are tons of tutorial videos on coil wraps, but these videos make it look easier than it actually is. Simple rules for wrapping would be to keep the wraps tightly together to prevent hot spots, but not to close that they overlap each other which could cause some problems. 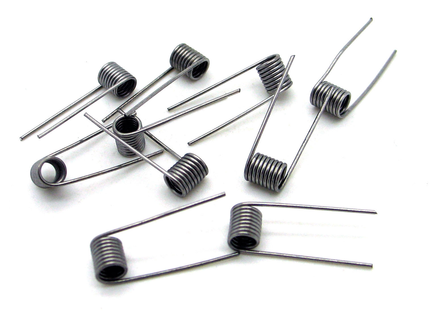 Are you the type of person who finds coil wrapping to be your least favorite thing when it comes to vaping? Do you go through rolls and rolls of wire and still can’t seem to get that perfect wrap? Here’s a tool that will end that problem, and the good news is it doesn’t even cost that much. Coil Wrapping Jigs keep your wraps looking nice and tight and they are super easy to use. Here’s a video showing how easy it is to use one, and what the result is when it comes to doing wraps. Next Next post: Can You Vape Around Your Pets?